I.G.I.M.S. strives to meet the health needs of all who live in our service area with quality, compassionate care. While our commitment to provide high quality health care remains unchanged, continuing national and state reform efforts will challenge us to develop new ways of delivering cost-effective care to our patients in the future. To ensure that I.G.I.M.S. remains a viable and vital HEALTH organization, Institute Administration, recently completed a careful and thorough strategic planning process that will serve as a strong guide in the hospital’s future development. The goals we have set will mean our patients can continue to expect the best of care in a modern facility that focuses on quality, personalized care. A: To be executed in Financial Year 2017 – 18.
a. Upgrading “Regional Cancer Centre” of the Institute as “State Cancer Institute” funded by Govt. of India and Govt. of Bihar of Rs. 120 Crores in a new multistory building with all the modern and hi-tech equipments for better treatment of cancer patients. b. Construction of new 500 Bedded Hospital building. c. Construction of new Senior Residents Hostel. d. Construction of new Junior Residents Hostel. e. Construction of new Intern Hostel for boys and Girls. f. Construction of Student Recreation Centre for Boys & Girls. g. Construction of Service Block. h. Commissioning of Solar Power Plant. B: The Five Year Development Plan: To be executed during the Financial Year 2016 – 2020.
a. Upgradation of “Regional Institute of Ophthalmology” with a separate multistory building equipped with all modern and hi-tech equipments on the pattern of “Dr. R. P. Centre for Ophthalmic Sciences, AIIMS – N. Delhi”. b. 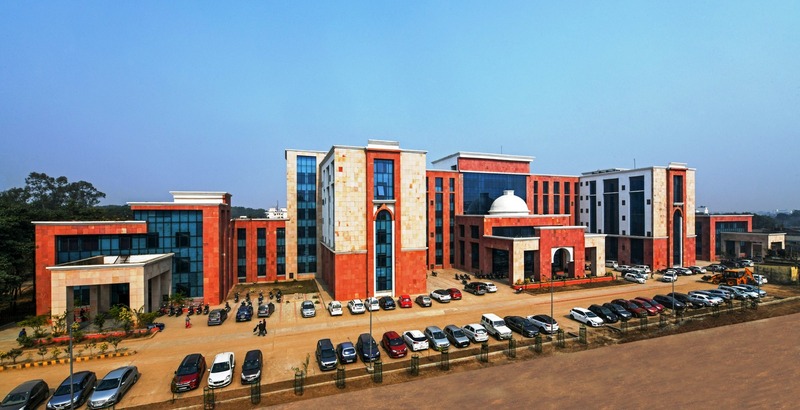 Establishment of “Centre for Cardio – Neuro Sciences” in a separate building. c. Establishment of “School for Public Health”. d. Establishment of “Pediatrics Medicine & Neonatology” with “Pediatric Emergency” in a separate building. e. Establishment of “Centre for Laboratory Medicine”. f. Establishment of “Centre for Digestive & Liver Diseases”. g. Establishment of “Centre for Kidney Diseases & Renal Transplant”.